Aerospace manufacturers enjoyed a strong week of orders for new aircraft at the Dubai Airshow 2017, promising a multi-billion pound boost to UK industry. Last weeks show saw orders, commitments and agreements for 746 aircraft announced by international manufacturers, with a global value of £63bn. The UK’s aerospace sector will be one of the biggest beneficiaries, with orders announced this week by Airbus, Bombardier and Boeing reaching an estimated £9bn value to UK industry. • Flydubai signing a commitment for 175 Boeing 737 MAX aircraft and purchase rights for an additional 50, worth $27bn at list prices. 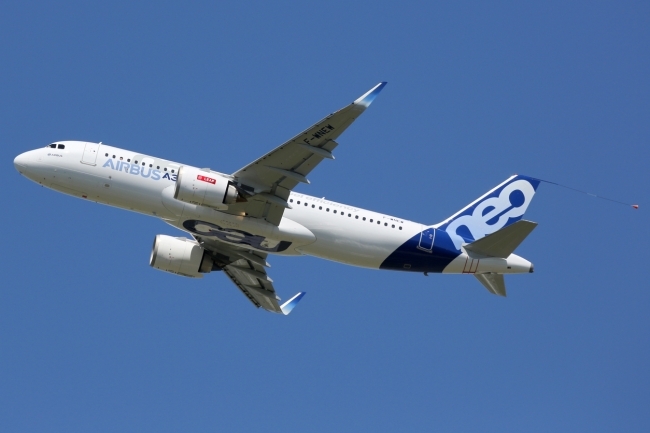 • Bombardier’s letter of intent with EgyptAir for up to 24 CS300 aircraft, worth a potential $2.2bn at list prices. ADS Chief Executive Paul Everitt said: “Aircraft order books have received a welcome boost this week and UK companies will play a major role in delivering these orders in the years ahead. “We are seeing there is sustained high global demand for new aircraft, as new routes are opened and more passengers take to the skies around the world. The Dubai Airshow ran from 12 to 16 November, with the UK Pavilion, coordinated by ADS, seeing 13 UK companies exhibiting, including Cobham, Martin-Baker and Qinetiq.